Click here to view the Quick Start Guide in pdf form and save it on your computer. 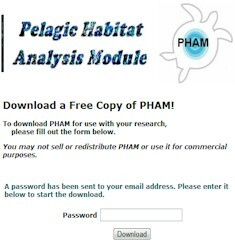 Click here to view the Reference Manual in pdf form and save it on your computer..
PHAM Quick Start is a simple, easy to use guide to get you started in PHAM. The detailed instructions, answers to frequently asked questions, examples, and common mishaps make it even easier to learn and use PHAM. In addition, there are links on each page to even more information for the advanced user! in the "Common Mistakes" section. on the "Users Group" page first. PHAM provides researchers with the tools to examine data in a 4 dimensional context – latitudinal, longitudinal, vertical, and temporal (Ref Manual Appendix A). This unique GIS program contains an interface for satellite imagery products from NASA and others. 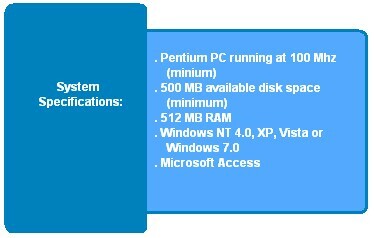 PHAM runs on Windows Operating Systems. 1. Select Download Program from the menu. Link and follow the instructions. Whenever you start a new study, you will want to start a new project as well. By creating a new project, your work is kept organized with a new subdirectory complete with a separate database designated to your next study. The folder and database created will have the same name that you give your project. 3. Type in the name of your new project and click Ok.
a period or a backslash. The following steps guide you through changing the zoom, projection, grid lines, grid labels, and the units of the map. PHAM has options to change the extents of the map as well as the grid lines and projection type. 1. To change the screen extents or map center, use the buttons on the main toolbar (Ref Manual Appendix E.1). 2. To change any other map options go to View in the main menu. Then click on Display Settings. 3. Once in Display Settings, click on the Settings tab. 6. To change the units of the map, click select from the Distance drop down menu and the Lat/Lon drop down menu. PHAM is equipped with an easy to use database wizard that imports your data and stores it in the project database. Following the steps is very simple, but make sure you look at the appendix on this one! Understanding the data fields is essential to analyzing your data properly in PHAM. 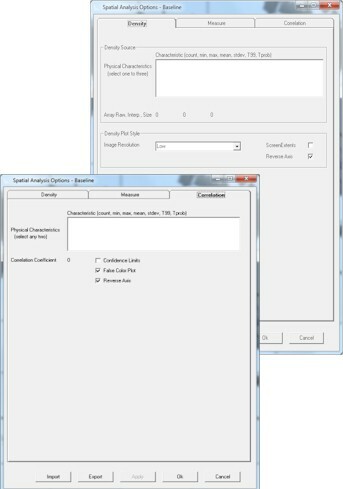 Create a comma separated values (.csv) file with the following format and columns and transfer your data into the appropriate columns (Ref Manual Appendix C). 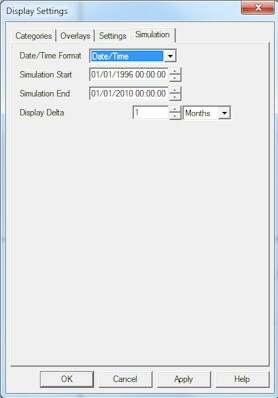 Necessary data fields include: Latitude, Longitude, and date/time fields. Order is not important, but the column headers should all be present and these headers must be in the format shown below. Click on Source File. Browse to and select your data file. Then click Process. - Select the VDB Errors table from the side panel. Scroll to the Error Reason column to see why your data were not imported. - Fix errors in data file. can all be left blank. refer to Appendix C for examples. contain a date, longitude, and latitude. Once the data has been imported into PHAM, it can be displayed as circles, filled in dots, or pies. The value placed on each station can be a count, sum, average or presence/absence. As always the steps below will help guide you through the process, but be sure to consult the references if you lose your way. and then click on the Blobs tab (see below). the Measurement Type name in the Blob Type box. 6. For solid blobs click on the Solid button. the number in the Count box. 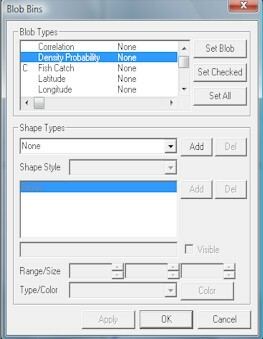 To Define Scaling of Blobs, Select the "Shape" Box. 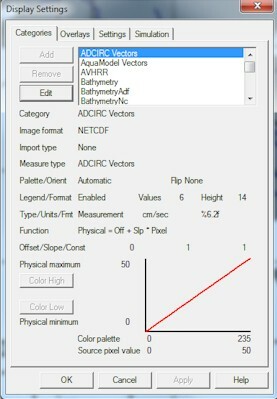 - Click on the Measurement Name in the Blobs Type box (see above). - Select a Shape Type from the drop down box and choose Add. This adds a bin for the measurement type. - Specify the Range value, Size and Color for the bin. - Click the box directly to the left of the left of the blob type name to make the respective bin visible on the map. The Spatial Analysis tool allows you to match up your data with imagery. 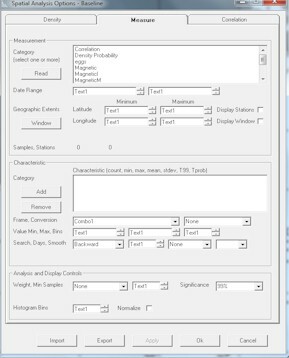 Within this tool you can look at correlations between your data and the imagery and export the matched data to a csv file. 1. 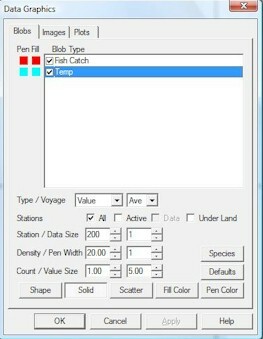 Select View-Spatial Analysis Options. 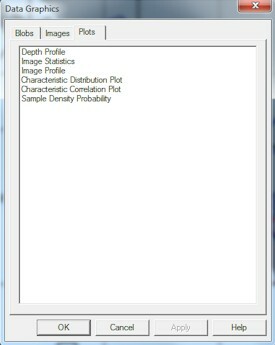 - The Density tab governs what variables appear in the Sample Density Plot. Once you've run the spatial analysis, you can choose which Characteristics you would like to plot. - The Correlation tab governs what variables appear in the Characteristic Distribution / Correlation Plot. You can choose to plot this as a false color image, with confidence intervals, and/or on a reverse axis. After your measurements have been loaded into your project, you'll want to get the environmental data that correspond to your dataset. Satellite imagery is available in more formats than there are sources. PHAM has the ability to read many of these imagery formats. Beginners should start with the imagery available on the imagery page. If you want to try your own imagery, be sure to read Appendix D.
1. Browse to the imagery page on the website. 2. 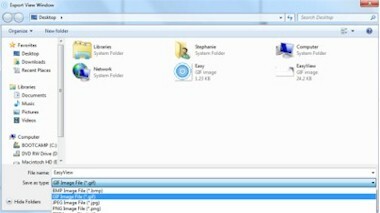 Download any desired Imagery to a local folder. downloaded imagery (Ref Manual Appendix D.3). 5. Click the Add Dir button. imagery files and double click one of the files. 7. Click the Scan button. 8. Highlight the imagery files to import. These steps will guide you through browsing through images and setting up a scale for your imagery set. Within PHAM, select Process-Browse Images. 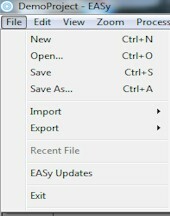 To change the scaling, select View - Display Settings then click on the Categories tab. Select the imagery to be scaled then click the Edit button. To change the scaling, use the formula in the Function box. Off variable (offset) = number in the leftmost box directly below the function box. Pixel value = the pixel count that corresponds to the desired maximum or minimum value. These steps will guide you through changing the palette for your imagery. 1. With an imagery set displayed on the screen, right click anywhere on the map and select Palette. 2. 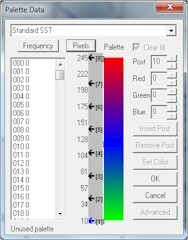 The top drop down box contains a list of pre-set palettes for the different imagery types. To try one of these simply click on the name of the palette and click Ok.
3.If none of the pre-set palettes work, use the advance options to create your own palette. Doing this ensures that the pre-set palettes remain unchanged. 4. Click on the black arrows, continue holding down while you move the arrow up or down along the scale. 5. 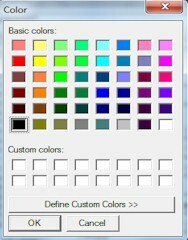 To change the color of the post, simply double click on the arrow and select the new color box. Then click Ok.
6. 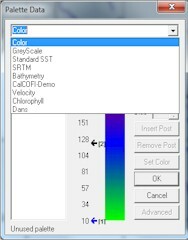 The values on the side of the colorbar can be set to read either the pixel value or the physical value by toggling the Pixels or Units button at the top of the color bar. 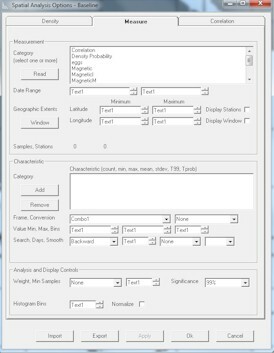 With PHAM, you have the ability to create interactive plots of the data and imagery by following the simple steps below. and then select the Plots tab. 2. Click on the names of the desired plots. The plots will show the y-variable with respect to the distance from the first point to the second point on the drawn line. Sample Density Probability - plots results of spatial analysis density predictions. Simulations are videos of the data and/or an imagery set through time. Display Delta. Then click Ok.
View-Data Graphics. Click on the Images tab. 6. 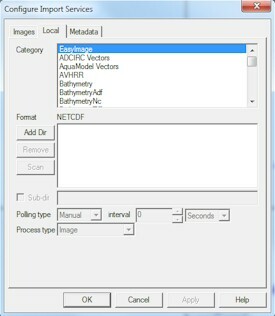 Then select the desired imagery set from the first drop down box. Then click Ok.
should look forward or backward for satellite imagery. 9. 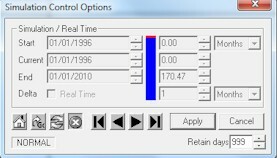 To control the simulation click the buttons indicated below. One of the greatest things about PHAM is its compatibility with the programs most scientists already use. All data and maps generated in PHAM can be exported in a variety of formats simply by following these steps.